Jon P. Weber, Ph.D., | Browdy and Neimark, P.L.L.C. Dr. Weber is a patent agent with expertise in chemical, pharmaceutical, and biotechnology areas. His background includes a broad array of experience in academia both in research, clinical and teaching positions. He joined Browdy and Neimark in 2016 after serving 25 years with the U.S. Patent and Trademark Office. Dr. Weber’s thesis work involved studying enzyme kinetics (lysozyme, ß-glucosidase and ß-galactosidase) at subzero temperatures – cryoenzymology – in mixed aqueous-organic solvents systems so as to obtain stabilized catalytic intermediates for physicochemical characterization. Dr. Weber worked on protein purification schemes as well. Dr. Weber held two Post-doctoral positions at the University of Oregon, first in the Laboratory of Dr. Sidney Bernhard investigating metabolite transfer in glycolysis between glutaraldehyde -3-phosphate dehydrogenase (GPDH) and 3-phosphoglycerate kinase (PGK), and then in the laboratory of Dr. Warner Peticolas investigating resonance enhanced raman spectroscopy of raman active stabilized catalytic intermediates of α-chymotrypsin. Dr. Weber was a temporary Assistant Professor of Chemistry and Biochemistry at Western Washington University, and then an Assistant Professor of Chemistry and Biochemistry at George Mason University. At George Mason, Dr. Weber investigated the role of ß-Alanine Transaminase in the black mutation of Drosophila melanogaster with Dr. Allen Sherald, and the thermodynamics of the thermal unfolding of α‑chymotrypsin with Dr. Edward Ward. Over the course of these various investigations, Dr. Weber published a number of articles in premier scientific journals. Dr. Weber then joined the US Patent and Trademark Office as an examiner in biotechnology where he stayed for the next 25 years, the last 11 of which as a Supervisory Patent Examiner. Some of the areas where Dr. Weber examined are: proteins, peptides, enzymes, microbiology, recombinant proteins, enzyme technology, enzyme inhibitors and pharmaceuticals thereof, pharmaceutical plant extracts, microbial technology, biochemical and biomedical assays, and biofuel production. Dr. Weber first supervised examiners in miscellaneous recombinant proteins (then 1653), and subsequently examiners considering enzymes, enzyme technology, microbes, microbial technology, biofuels, and biochemical and biomedical assays (1657). 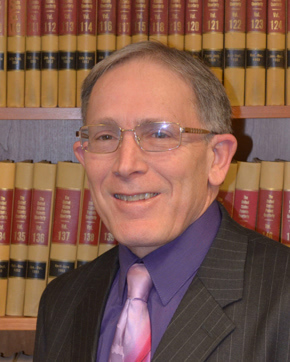 As a Supervisor, Dr. Weber trained numerous examiners in patent examining law and procedure, including a three-month stint teaching at the Patent Academy.